And as this article says, this is big (and not so great) news for Aldi and its consumer fans. 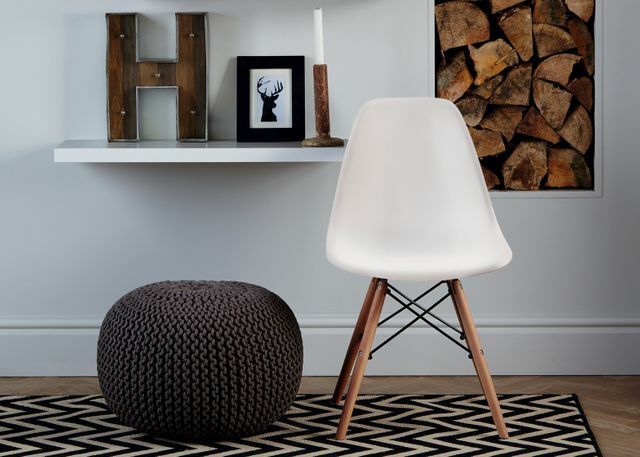 The attached article is specifically about a chair designed in 1950 by Charles and Ray Eames and its current replicas. Aldi produce a very similar chair and sell it for £39.99. An authorised version would be worth £339 and it would not be sold via Aldi. Despite complaints from both sellers of the original and the designers’ grandson, under UK law it is currently lawful for Aldi to sell these chairs. This is due to the existing time limit on the legal protection that grants the creator of industrially produced items such as this chair a monopoly right to prevent others from copying it. That time limit presently endures for only 25 years from when the product was first marketed. It is reasonable to anticipate that there will sometimes be a few grey areas as this new law is rolled out; if an item is only protected as a design as opposed to as an artistic work, the duration of the protection will not be extended. However, for many items it will be very clear that suddenly the law prevents reproduction whereas it did not before. Is this change in the law a good thing? It’s difficult to say. Tony Ash, managing director of Vitra, which manufactures the original DSW Eames chair, says that the UK’s relatively weak IP protections have made it a laughing stock, as elsewhere in the world stronger IP protection favour creators a lot more. It is certainly well-recognised that strong intellectual property rights attract continued investment in good design, both by creators and those keen and authorised to exploit the created product. On the other hand, the Antiques Trade Gazette has suggested that museums will be badly affected by the change due to its effect on publications, promotional material and their shops; their exhibits themselves will probably be allowed under the fair use exception. Intellectual property protection is all about getting the balance correct – make protection too extensive and creators will have an unfair monopoly position which excludes competition, weakens consumer choice and stifles pressure to innovate; but operate a protection regime that is too weak and doesn’t facilitate a fair compensation for a creator’s effort and investment, and such artists will not be motived to create. In practical terms, any business who operates a retail model or business approach that is similar to Aldi’s should think carefully about the effect of this legal change and act accordingly. That might mean trying to obtain licences where they thought the copyright had expired long ago. Creators who thought their monopoly right had expired should also consider how to exploit their copyrights anew. And as for the rest of us? Well, I quite like that chair. Maybe I’ll dash off to Aldi now before they run out of stock? New copyright legislation will come into effect this summer, under the repeal of section 52 of the Copyright, Designs and Patent Act 1988, extending the copyright period to 70 years from the designer's death. The DSW Eames Plastic Chair, which was launched onto the market in 1950, is one of many items of designer furniture that will be newly protected.